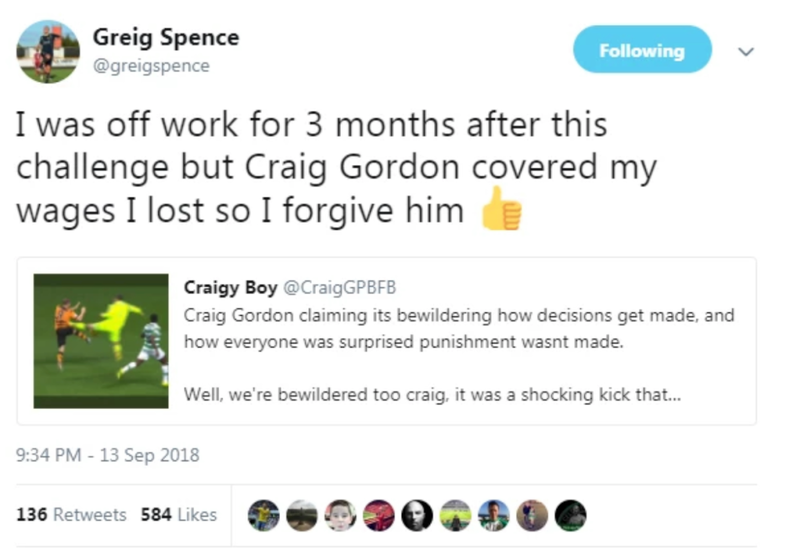 The incident happened in a Scottish League Cup tie in September 2016, when Gordon ran out from his box and kung-fu challenged Spence. Gordon did not receive any punishment for the tackle. Of course it's easy to temper the feeling of goodwill towards Gordon when you watch the tackle, but at the end of the day, he was under no obligation to give Spence anything following the challenge.